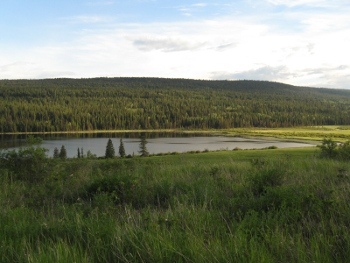 There are several picturesque building sites on the Bridge Creek Ranch for your residence, with breath-taking water views of Exeter Lake, as well as easy access to the amenities and utilities of the village of 100 Mile House. 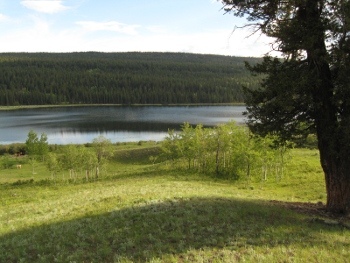 Exeter Lake is a pristine 1.5 km-long freshwater lake, extending west from 100 Mile House on Bridge Creek Ranch property. 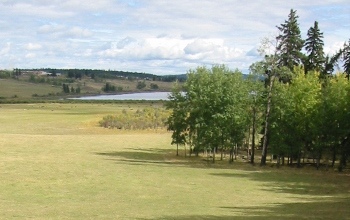 There are numerous building sites along its northern (south-facing) shore, enjoying open sun and unbroken views of the mixed-fir forest across the lake. 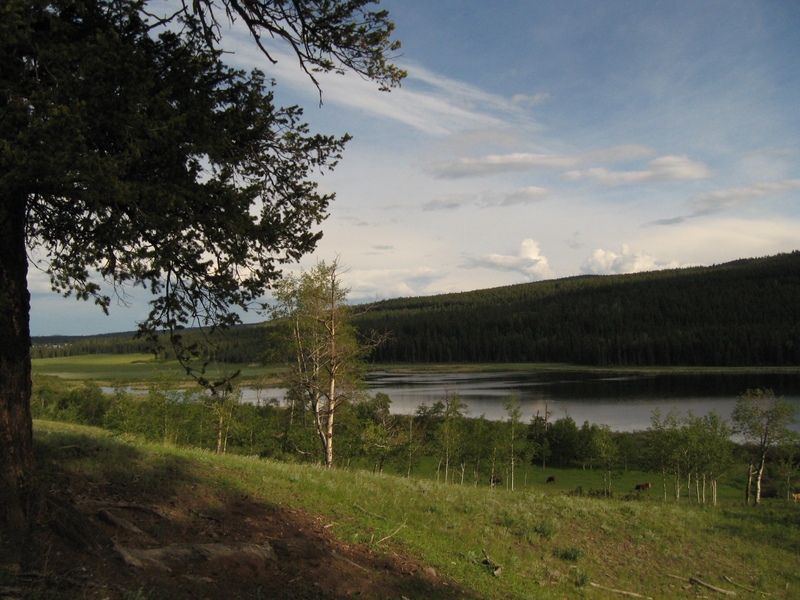 Views of wildlife can be enjoyed across the lake, including bald eagles, loons and ospreys; moose and deer. 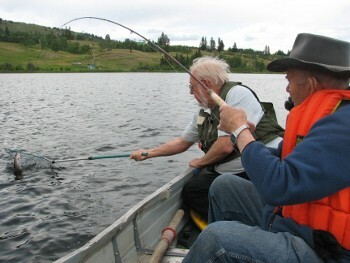 Exclusive access to Exeter Lake allows canoeing, kayaking or sailing to be enjoyed, along with swimming and trout fishing. Easy access to your building site is along Exeter Station Road which runs parallel to the lake along the northern property line. Electricity, telephone, water, and good septic field drainage are available to this area. 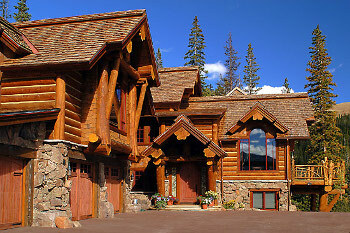 The Cariboo region boasts some of the finest log home construction companies in the world, with ready-made building plans to help turn your own dream home into a reality. 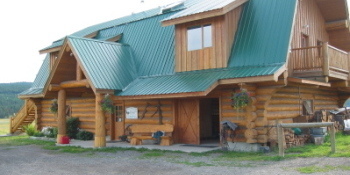 One such company is Sitka Log Homes who built our own barn office pictured at the top right. They also built 'BC/Canada House' featured at the 2006 Olympics in Turin, Italy. For more information, click on the brochures listed below. 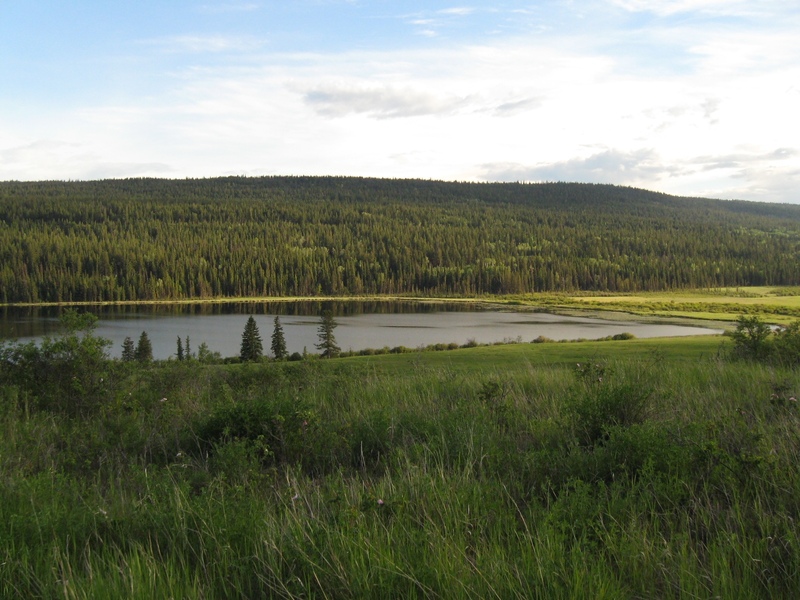 The South Cariboo is enjoyed for its rural lifestyle and urban amenities. Warm summers, sunny skies, freshwater lakes, and vast areas of land spread west to the Fraser River. 100 Mile House schools offer Kindergarten to Grade 12 and, from Thompson Rivers University, degree granting courses and distance learning. Services include an acute care hospital, full emergency ward, long-term care facility, private seniors care facility, subsidized seniors living, 12 doctors, 6 dentists, 2 chiropractors, physiotherapy, massage therapy, and optometry services. Public Health, Mental Health, a community respite program, home care services, and a full-time ambulance team provide some of the best health care available. Hunting, fishing, water skiing, swimming, cross country skiing, downhill skiing, mountain biking, ice fishing, mountain climbing, hiking or snowmobiling. 100 Mile House sports a new $5 million arena complex, curling rink, rodeo grounds, 9-hole golf course, 74-acre community park, and seniors activity centre. 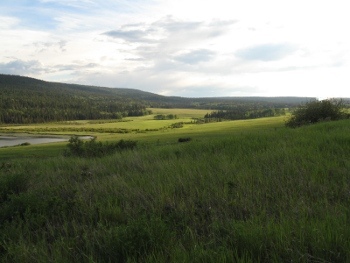 An 18-hole PGA golf course at the 108 Ranch, community halls, ball parks, and rodeo grounds throughout the South Cariboo offer much to the residents and travellers alike. Firefighting is provided by highly-trained volunteer firefighters and and state-of-the art equipment. RCMP service is provided to the South Cariboo by detachments in Clinton and 100 Mile House. Transportation services include the main highway, Greyhound bus, and two local airstrips. 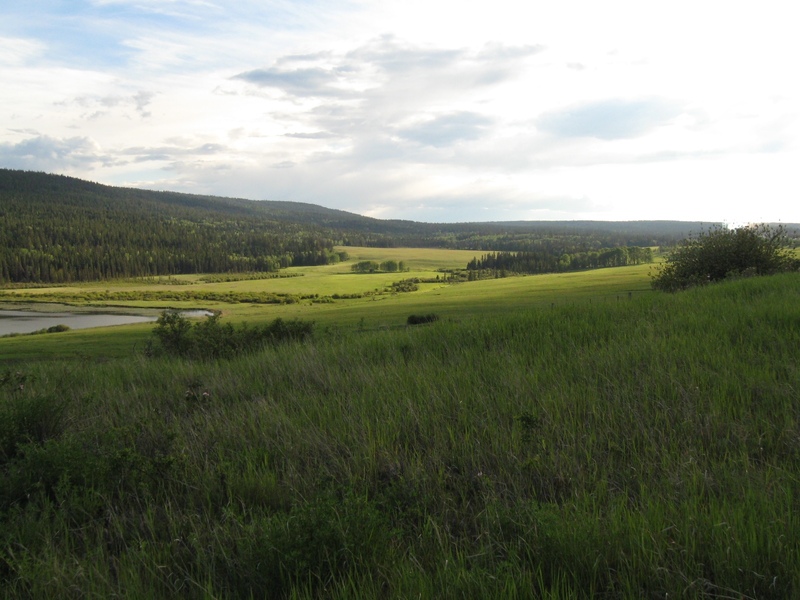 The 100 Mile airstrip (at the east end of the Bridge Creek Ranch), a 2300 ft paved strip and the 108 Mile Regional lighted airstrip to accommodate the corporate jets, medi-vac services, and multi-engine aircraft. 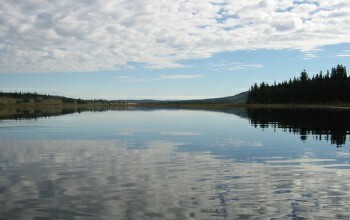 Exeter Lake is large enough to allow for float plane traffic. Cargo rail service to Vancouver and the rest of the province is available at the West end of the valley, provided by CN Rail. All information provided on this website is believed to be accurate but is not guaranteed and should be independently verified. No warranties or representations are made of any kind. Copyright (where applicable): Bridge Creek Estate Ltd.